On a journey to heal my gut, becoming gluten free has been one of the most important aspects of my lifestyle. Even though I try to follow a GF diet, that doesn’t mean I don’t enjoy the heck out of my meals through healthy fats, carbs and protein! 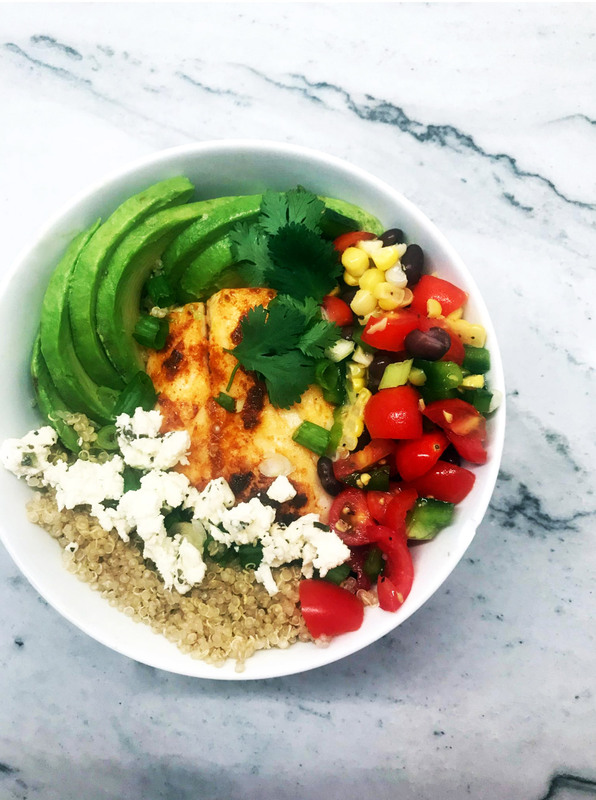 This gluten free inspired taco bowl has all of those combined in one, and will leave you and your gut satisfied and happy. Enjoy! 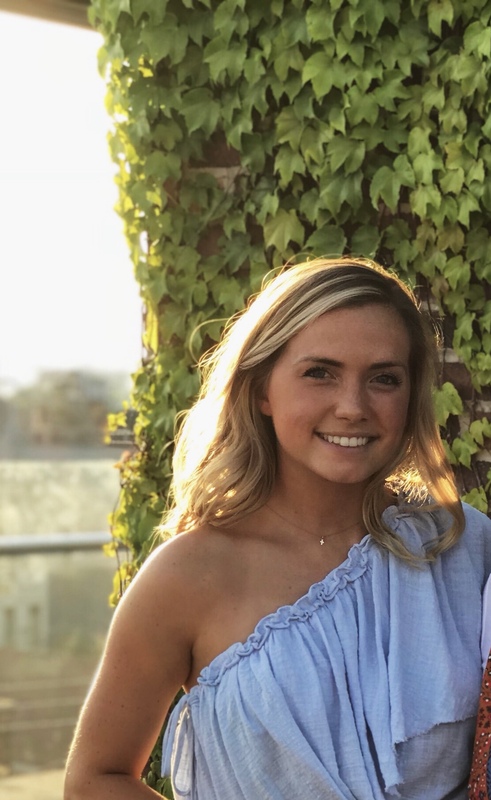 Kate Richey of is a health and wellness fanatic with a passion for exercise and life’s adventures. She loves to travel, cook, drink wine and experiment with gut friendly foods! On any day off, you can find her at the movies or at home cooking for her family on the patio. Shuck one ear of corn and bring a pot of water to boil. Bring water to a simmer and submerge corn in boiling water. Cover with a lid and let cook for 10 minutes. In another pot, bring 1/2 cup of water to a boil, reduce to simmer and add 1/4 cup of quinoa. Put the lid on and cook for 10 minutes. 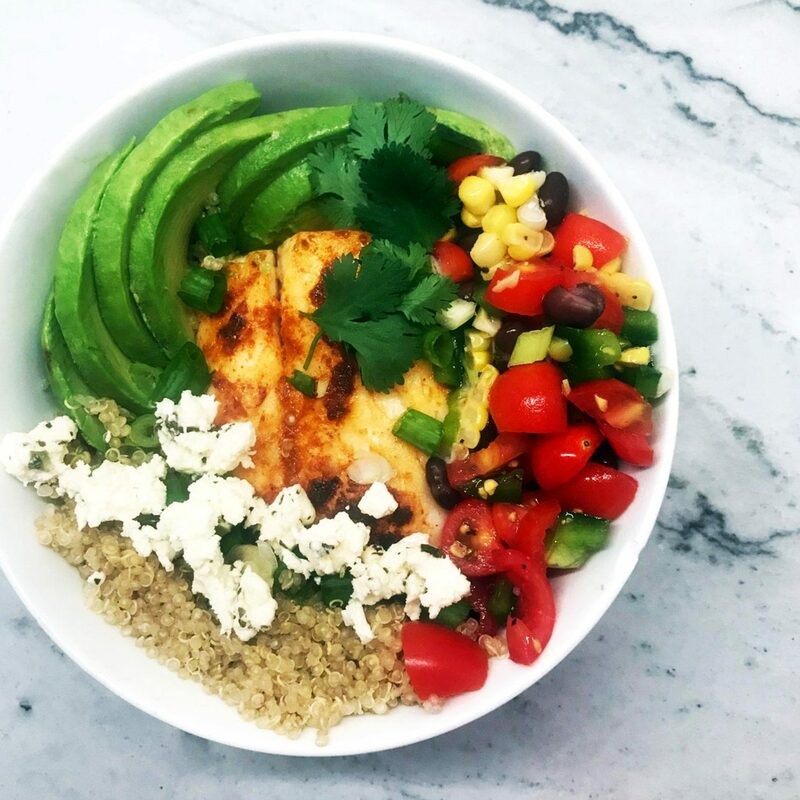 While the corn and quinoa cook, prepare the salsa. 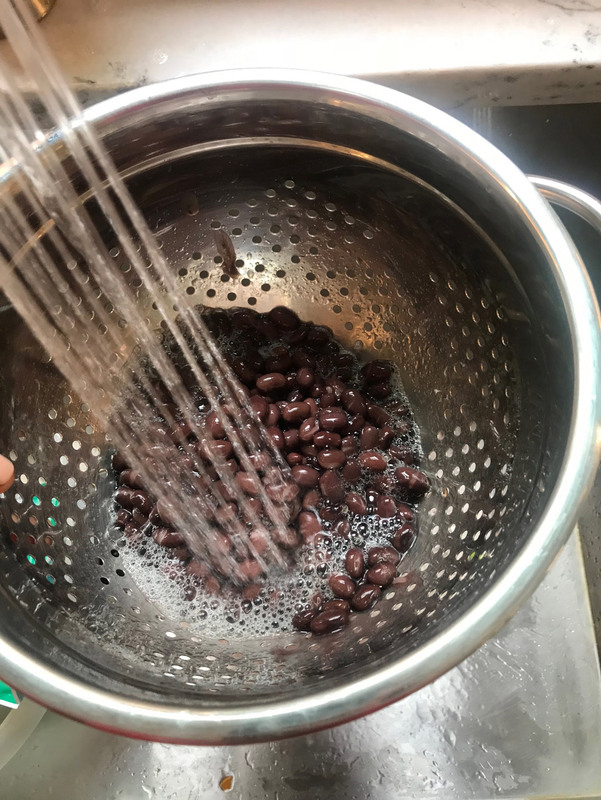 Open and rinse a can of black beans, and empty half of the can into a mixing bowl. Dice cherry tomatoes and green pepper to add to the mixing bowl. To prepare cod, add 2 tablespoons of olive oil to a saucepan on the stove and turn on low-medium heat. 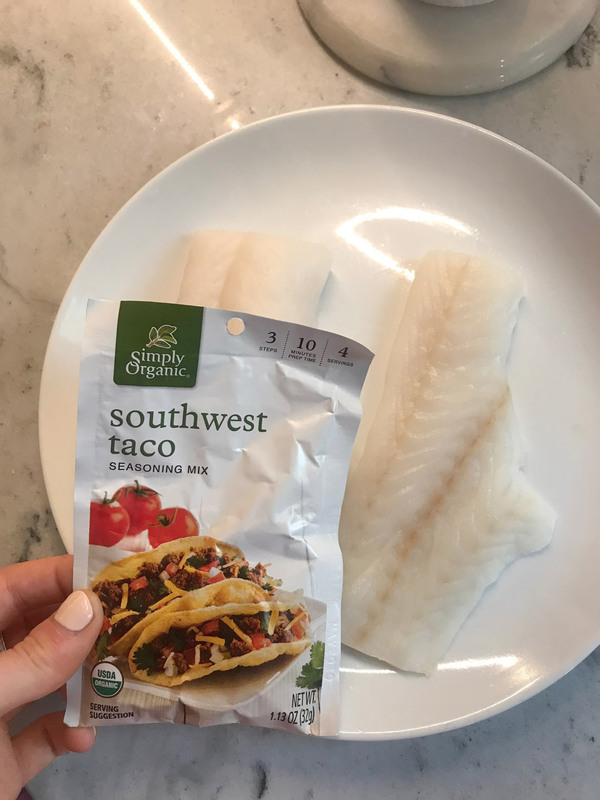 Rinse two fillets and pat completely dry with a paper towel, and rub 1 tablespoon of taco seasoning to each fillet. Gently lay both fillets in the saucepan and cook each side for 3-4 minutes. Check on the quinoa and the corn. 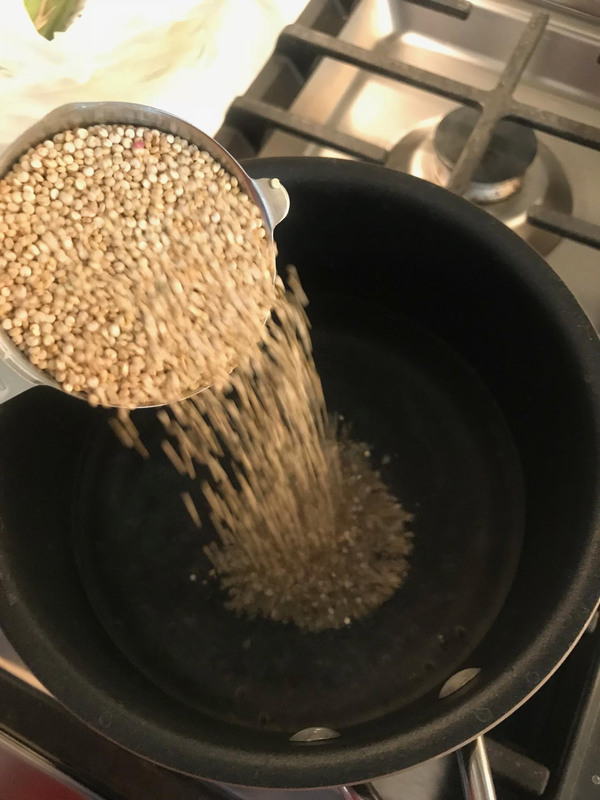 If the quinoa has absorbed all the water, stir and take off heat. If there is still water, put the lid back on for 5 more minutes on low heat. To check the corn, pierce with a fork. If the corn is tender, it’s finished cooking. 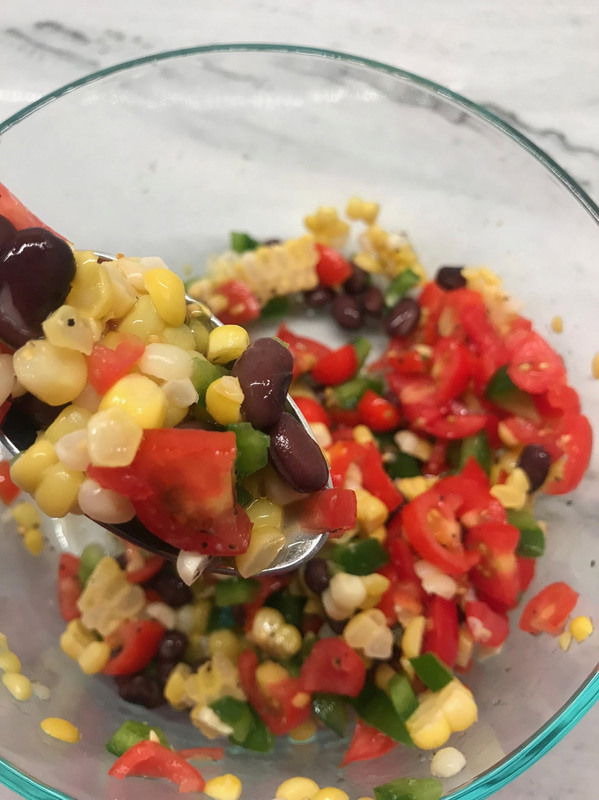 Let the corn cool, slice corn off the cob and transfer to the mixing bowl with beans, green pepper and tomatoes and mix together. Add salt and pepper to salsa to taste. Remove cod from the stove and let rest. Cut 1 avocado in half, remove pit and peel skin. Cut each half into slices. Prepare two bowls and add 1 cup of mixed greens to each. Add half amount of cooked quinoa and 1 cod fillet on top of greens. Spoon desired amount of salsa and 1/2 sliced avocado. Sprinkle nettle cheese, chopped green onion and 2 sprigs of parsley.